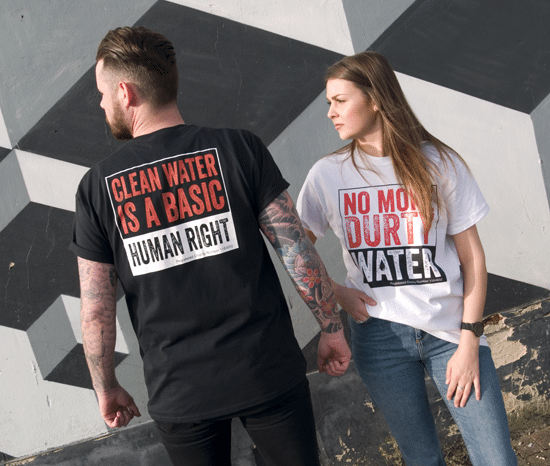 A new range of More Durty Water t-shirts is now available in black or white, in a range of men’s and women’s sizes. You’ll find these for sale from £15 at our events or contact us to arrange collection in Southsea. All profits from the sale of these t-shirts go to fund our water projects.